A balance test may indicate declining cognitive health and risk for stroke. Researchers led by Yasuharu Tabara had previously found that balancing on one leg became more difficult for people with age. Now the same team has found that this type of postural instability is associated with decreases in cognitive functioning and with risk of stroke. 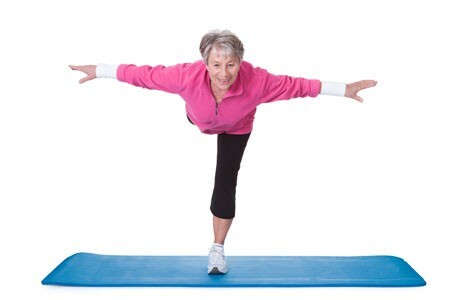 Fourteen hundred participants with an average age of 67 were challenged to balance on one leg for up to 60 seconds. They also completed computer surveys, magnetic resonance imaging (MRI) scans, and a procedure to measure the thickness of their carotid artery. Those who could not balance on one leg for 20 seconds or longer were more likely to have cerebral small vessel disease. Editor’s Note: Whether exercise would reverse this vulnerability remains to be seen, but lots of other data suggest the benefit of regular (even light) exercise on general health.